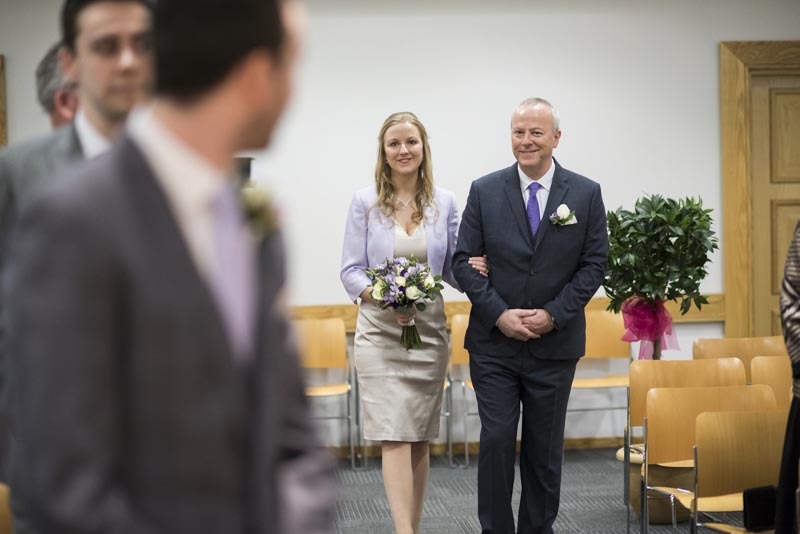 Last-minute wedding photography in Preston as Jenny and David formalise their marriage vows. You’re about to hold your wedding on a sun-kissed beach. But what happens when the overseas wedding you’ve got planned isn’t actually legal for UK purposes? That was the situation facing Jenny and David, but fortunately it wasn’t too much of a challenge to work out a solution. Before the overseas celebrations in Zante, they would have a low key ceremony at Preston Registry Office to formalise their wedding. Now all they needed was a Preston wedding photographer who might be available at short notice. It was probably a good job their ‘pre-wedding’ was in February (not usually peak season for Preston wedding photographers), because it meant that when Jenny and David called, I had a clear spot in the diary. Now it may have been low key, but the wedding photography was still hugely important, because despite not having the advantages of sand, sea and, well, Zante, these would be the shots of the wedding day ‘proper’. So after the ceremony, I took the couple across to Miller and Avenham Parks where, on the banks of the River Ribble, we were able to capture some shots that made it look like a glorious spring day, rather than chilly early February. 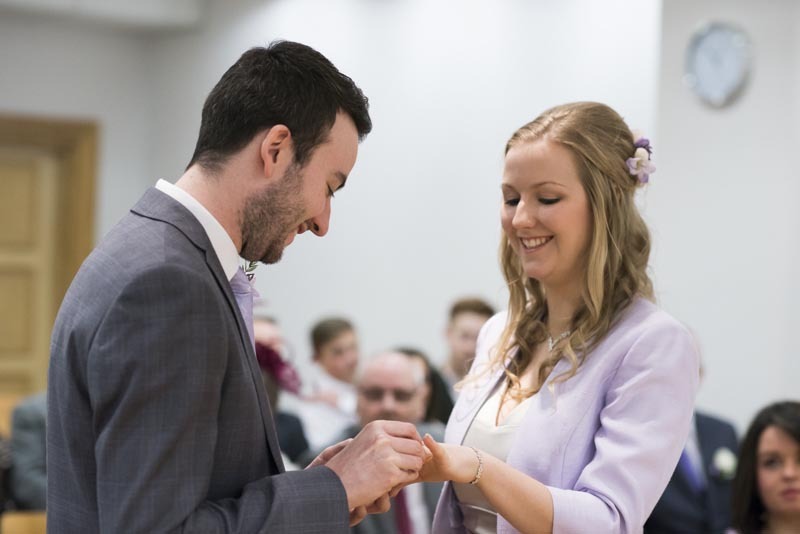 If you find yourself needing last minute wedding photography in Preston and Lancashire, either because your planned wedding photographer can’t make it or because something else unexpected has happened, give me a call. I can’t promise I’ll be available – especially in high season – but it’s always worth checking my late availability. You never know, you could even save some money too. Need a Preston wedding photographer at short notice? Get in touch here.